If you have watched any of the Avengers movies(or any recent superhero movie), then you’re probably familiar with S.H.I.E.L.D, aka Strategic Homeland Intervention, Enforcement, and Logistics Division. In Agents of S.H.I.E.L.D. 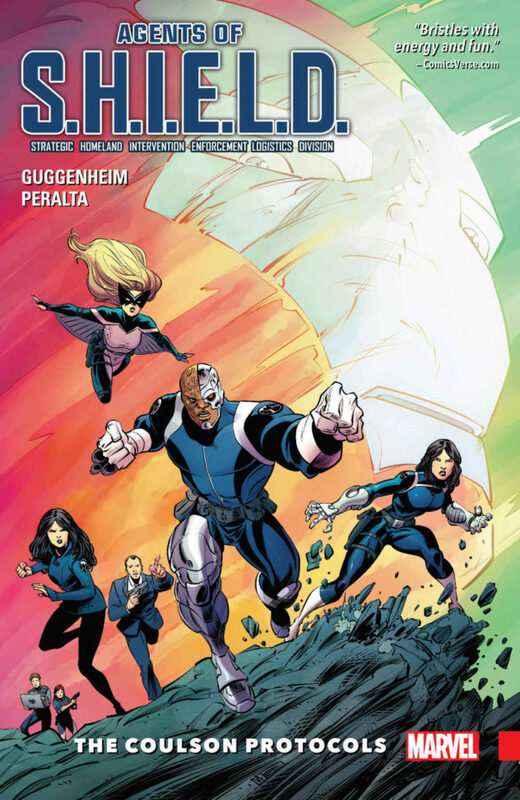 – Volume 1: The Coulson Protocols, Agent Coulson leads Melinda May, Agents Fitz and Simmons, Mockingbird, Quake, and Deathlok, as they battle someone in an Iron Man suit(who is not Iron Man! ), multiple people who want to take over the world, and, of course, the evil Hydra organization. Coulson’s old love interest, Lola – not to be confused with his car who just happens to have the same name, has come to the team’s attention after her name is found to be affiliated with the tech that the person in the Iron Man suit blew up the Pentagon to steal. As a result, Coulson goes to meet her to find out what she knows. It turns out that Lola manipulated their previous relationship in order to steal precious superhero information from Coulson. She’s a psychic and can read his mind! Coulson, being the giant superhero geek that he is, created scenarios in his head about how to take down any of the Avengers and also any of the other superheroes/agents that he knows. Lola then read his mind and stole that information. Those scenarios are now called the Coulson Protocols and fake Iron Man stole them from the Pentagon. That information is now up for auction to the highest bidder and the team must do everything and anything in their power to get that highly sensitive intel back. 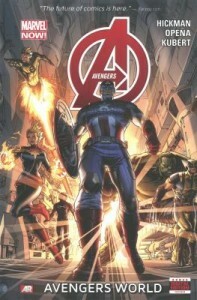 They battle a massive Iron Man army, throw down with some Hydra bad guys, rub shoulders with Spider-Man, Captain America, Wolverine, and Tony Stark, and find themselves in a massive standoff with the New Avengers, all while trying to find the Coulson Protocols. 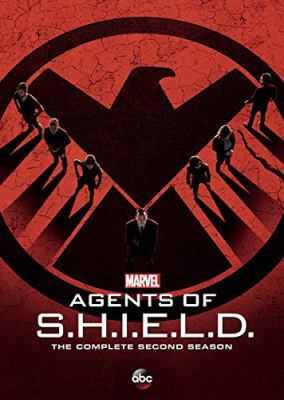 Allegiances are tested and backstories are revealed as Coulson and his team work to save the world from a possible leak of this sensitive information. Agents of S.H.I.E.L.D. 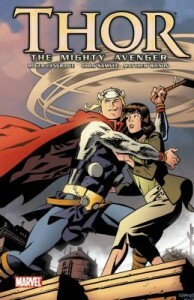 – Volume 1: The Coulson Protocols does a fairly good job introducing readers to who the agents are and how S.H.I.E.L.D. works. 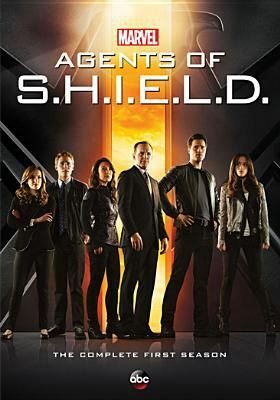 (I didn’t come into this graphic novel as a complete newbie, having watched the first season of the S.H.I.E.L.D. tv show many, many months ago, BUT I remember almost none of it, so don’t be afraid of reading this if you’re totally unfamiliar with any of the characters. You’ll be just fine.). Guggenheim also adds the characters’ names next to each throughout most of the comic, so you won’t have to flip back to the beginning to remember who’s who (That’s fantastic, btw, and way more graphic novel writers should take note). I thoroughly enjoyed this new graphic novel and can’t wait for the next volume to be released. In the mean time, I’ll have to settle for watching the two seasons of Marvel’s Agents of Shield that the library owns. Read this comic/watch the shows and let me know what you think! Ant-Man is a Marvel creation that most recently came out as a movie starring Paul Rudd as Scott Lang and Michael Douglas as Dr. Hank Pym. Dr. Pym was the original Ant-Man, the one who discovered the Pym Particle, a substance that had the ability to shrink items, most importantly a suit. He became Ant-Man and his wife became the Wasp. After a devastating accident, Dr. Pym hid away the formula and the process to find the Pym Particle, locking the suit away. Flash forward to the present and viewers are introduced to Scott Lang, a burglar who has just been released from jail and is trying to turn his life around so that he can be in his daughter’s life. His roommate and a few friends approach him with the chance of a lifetime: they heard about a rich man who has a safe in his basement and if Scott can crack it, then they will be set financially for a long time. This heist changes Scott’s life and puts him in the sightline of a very powerful man, former Ant-Man Dr. Pym. Giving Scott a chance to reform his life and atone for his past crimes, Dr. Pym presents him with the opportunity to protect the Ant-Man suit and the formula from a group of scientists who wish to harness the power for dubious reasons. Dr. Pym mentors Scott in the ways to use the suit and how to harness all of its powers, while Scott works to change his life for the better. 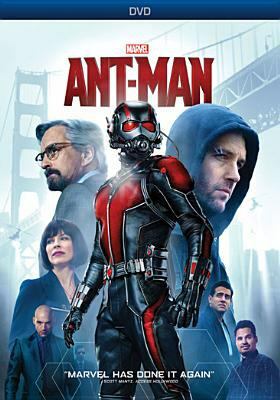 This movie is an excellent introduction to the background of Ant-Man and provides viewers with some pretty spectacular effects, while also keeping the mood light yet fill of action and adventure. Moving further down the timeline is Nick Spencer’s Ant-Man. 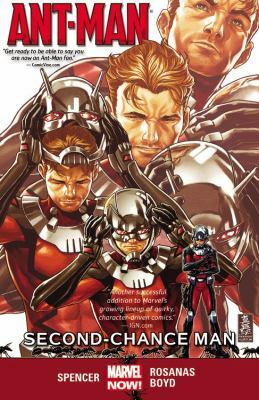 In this volume, Ant-Man is older, somewhat more mature, and has worked with a variety of other superheroes. Just because he’s older doesn’t mean he has become a better superhero though. Throughout this graphic novel, it’s pointed out to Scott that he isn’t even the best Ant-Man and that some people still think he’s dead. Scott is still trying to better his life and provide for his daughter, something that this graphic novel shows has not been without some significant difficulty. Scott thinks he has it made when Iron Man calls and offers him a job, but quickly realizes that he’s only one of many candidates and just because he’s worked with Iron Man before doesn’t mean he is going to get the job. The realization that his ex-wife is moving with his daughter to Florida and a rumble with an old foe throws Scott off-balance, leaving him to try a new business venture that takes Scott and his family down a dangerous path where he is forced to see that what he thinks is right for his family and what is actually right for his family are two very different things. 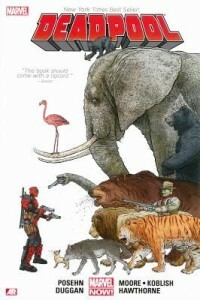 What I liked best about this graphic novel is that if you are confused about something that is happening, the writers have written in explanations and have also provided you with the issue numbers of the different graphic novels that will help you to fill in the holes. Plus Scott does a lot of reflective thinking, so that helps. It’s brilliant! Check out this graphic novel for a more sarcastic and humanized approach to a superhero who is just trying to get his life together. 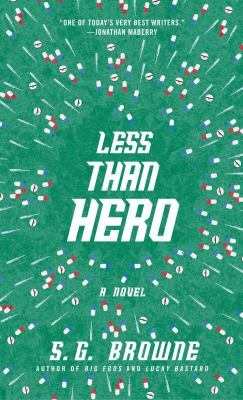 Usually I’m wary of books that have quotes written on them from authors or publishers saying, “best writer” or “visionary of our time,” so when I saw Less than Hero on the new cart, my heart sunk a little seeing, “One of today’s very best writers” written across the front. The premise, volunteers who test experimental drugs for cash who then inadvertently turn into side-effect superheroes, immediately caught my interest though and I decided to give this book a try. In Less than Hero, S.G. Browne has written an arrestingly witty and sarcastic nod to the pharmaceutical industry and superheroes, which I found to live up to the high praise splashed across the front cover. Llyod Prescott finds himself at the age of thirty living as a guinea pig of pharmaceutical drugs with no real direction in his life. He has a group of other guinea pig friends that he meets up with every now and then to talk about the trials that they are taking part of, a side gig pan-handling for money in a variety of locations across New York City, as well as a pixie of a girlfriend who has already saved his life once before. Lloyd is living a stagnant and regular life that’s going in no real direction until one moment when his lips go completely numb and he is struck by utter exhaustion. Letting out a giant yawn, Lloyd finds himself instantly refreshed, but is astonished to find that the stranger next to him has inexplicably fallen asleep. Lloyd then does what any other superhero would do: tries to keep it a secret and practices on his girlfriend Sophie’s cat. When this slumbering event happens three times on its own to humans around him, since, Lloyd says, it’s important to create a pattern, he meets up with the rest of his guinea pig buddies to see if they have any weird side effects. They do and they all team up to fight crime! With powers ranging from rashes to vomiting to sleeping to convulsions to sudden weight gain, they head out across New York City to set out their own kind of justice on criminals. Through the book, Browne includes interludes about how they discovered their powers and also newspaper articles about two villains running amok in New York, Mr. Blank and Illusion Man. These two villains exhibit superpowers that Lloyd eventually realizes could actually be prescription drug side effects as well. Lloyd and his rag-tag bunch of superhero friends decide that the only thing they can do is to use their superhero abilities for good and they work on honing their talents, so they may then take on those evil villains. Browne has crafted a superhero book outside the ordinary that is creatively sarcastic and witty about not just things that maybe might not happen, but about things that could happen in our pharmaceutically drugged society. Right around the release of any superhero movie, a lot of other merchandise related to that superhero begins hitting the market. Because I am not a pre-teen or teenager anymore and have decided that I need to start decorating like a proper adult (It’s sad, I know), buying superhero towels, sheets, and posters to decorate are no longer an option. You know what venue that does still leave open? Videogames! Because of this adulthood I have been thrust into, I have become a sucker for superhero videogames. 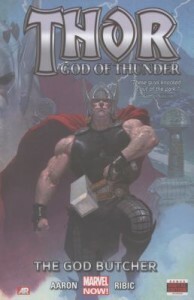 What I found lacking in the Thor movies, I found in Thor: God of Thunder. This game is available in both the Xbox 360 and Wii formats. In this game, all of the action I was missing in the movies came alive. Here, I am able to heft Mjolnir, Thor’s massive hammer, and release all of his powers of wind, thunder, lightning, and storms to fight against 25-foot-tall, 12-ton weighing frost giants and trolls that were plaguing the Norse worlds during the Thor movie. Talk about awesome! There are a variety of combinations that you can release upon your enemies from hammer throws to melee combos to all of those storm powers that I mentioned previously. What I found interesting was that you could scale the giants! You could climb them using a grappling system and multiple points to try and find their weaknesses in order to defeat them. The game also allows you to collect runes in order to pick new powers and abilities and even upgrade your weapons. Yes, this game is repetitious, but there’s really only so much variety you can do with frost giants and trolls. Those Norse worlds didn’t exactly have many different enemies to fight. It’s important to remember that this videogame was made to be a “movie tie-in,” so it was to be released around the time when the movie actually came out. Graphics and controls are not going to be as up-to-par as if they had taken the time and released this a while after the movie came out. 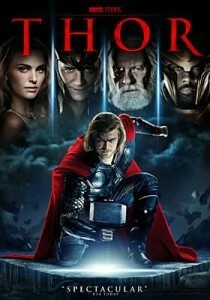 I still enjoyed it and I’m hoping that fellow fans of Thor will enjoy this game too. 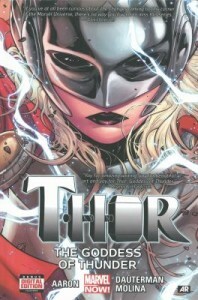 Want to check out some other cool Thor related items that the library has? 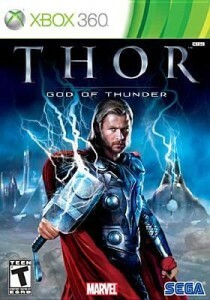 Click on the pictures below to be directed to the Thor items(movies, graphic novels, etc.) in our catalog! Tired of Heroic, Noble Superheroes? Try Deadpool! I think we can safely call this the Summer of the Superhero. You can’t go anywhere without encountering blockbusters, books, graphic novels, and YouTube videos, dedicated to the adventures of the suped-up denizens of the DC and Marvel (and various Independent) Universes. But when everyone is fighting for truth, justice, and the way of whichever rebooted dimension they happen to currently inhabit, and everyone’s base superpower is to look fabulous in spandex, how can a single super stand out? With the power of Pure Obnoxiousness, that’s how. 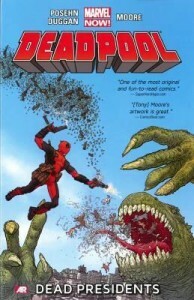 Marvel’s Deadpool (aka Wade Wilson, aka “The Merc with the Mouth”) isn’t your usual superhero. And he definitely isn’t for the kiddies. Other superheroes have healing factors (Wolverine) and are known for their sarcasm (Spiderman and Hawkeye), still others are egotistical (Tony Stark), have mental health issues (Duh), or dubious reputations (Winter Soldier and the Black Widow), and whatever they say their motivations are, most of them are adrenaline junkies with easily ignored self-preservation instincts. But only in Deadpool do all these traits combine to make a deadly, invulnerable, happy-go-lucky sociopath who could use a double dose of Ritalin every four hours. He’s often drawn as having multiple personality disorder (or being possessed, take your pick), surrounded by different narration boxes that argue with him or amongst themselves. He’s also one of the few Marvel characters who knows that he’s a character, making him incredibly delusional by the standards of the other characters and impossibly self-aware by ours. Or vice versa. Deadpool himself is aware that he’s crazy by anyone’s standards—and he runs with it. He takes on impossible tasks, talks directly to the reader (and the artists) whenever it’s inappropriate to do so, and takes full advantage of his cartoon status by acting like a happily-homicidal, R-rated version of a Roadrunner who read Wile E. Coyote’s playbook, stole his Acme catalogs, and hung out a shingle. And his success rate is phenomenal, if you ignore the collateral damage. During the course of his Extremely Varied Career, he’s saved the world from alien invasions and undead presidents, punk’d Dracula, kicked it with Hawkeye, and contributed interesting things (including an excellent post credit scene) to Wolverine’s origins. This is a man who appeares to thoroughly enjoy his (wet)work. Though that doesn’t mean he can’t get cranky about being an immortal pawn in someone else’s script, to the point of making the odd attempt to take down everyone in all the Marvel Universes . . . and beyond. Essentially, his cells regenerate just quickly enough to keep the cancer and his battle damage from killing him—but what’s underneath Deadpool’s mask isn’t pretty. And what’s between his ears, by most definitions, doesn’t have a firm grip on what’s left of its sanity. Still, Deadpool is loyal (at least to the highest bidder) willing to do almost any mission (for a price), and occasionally takes a shine to other heroes (especially Spidey, Cable, and Hawkeye) and “helps” them with their own missions in a way that really, really doesn’t . . . at least, at first. He cares, sometimes, in his own way, and if his ideas of right and wrong are a little skewed, he deserves partial credit for trying. Maybe. And it might, just might, be possible that the reason Deadpool is so completely, utterly annoying is that his invulnerability is only skin deep and he’s desperate to protest what’s left of the rest of him. Most of the time, Deadpool wants to be The Hero—or The Anti-Hero of Awesome—of his own story, but his methods are madness. Though even his worst enemies can’t deny that he makes it work for him. And it really works for those of us who dare to try his kind of chaotic supercrazy. 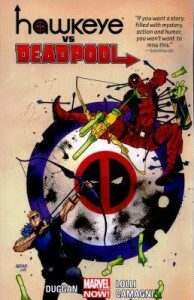 *In another version, the Weapon X experiments worked as stipulated, and Wade Wilson was a covert superhero for a while, until he (mistakenly or deliberately) killed one of his team. He was sent to The Hospice, a rehabilitation center for damaged mutants and supers, which was actually a secret playground for the sadistic Dr. Killebrew. The doctor and his staff made bets—in a “deadpool”, get it?—on which of their patients would survive their terrible experiments. As it happened, Wade Wilson held on long enough to kill his torturers and escape . 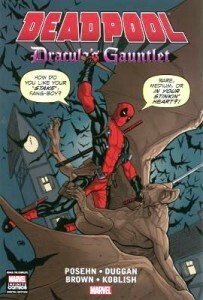 . . thus “winning” the deadpool and earning a new name. Isn’t that cheerful? With the release of the new Avengers: Age of Ultron movie on May 1, requests for anything and everything superhero has gone up significantly from books to t-shirts to toys to costumes. 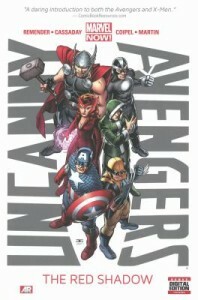 If you’re interested in anything Avengers or superhero related at the library, let this blog be your guide. For those unfamiliar with what superheroes are a part of Marvel’s Avengers, the big names in the movies are Captain America, the Hulk, Thor, Iron Man, Black Widow, and Hawkeye. 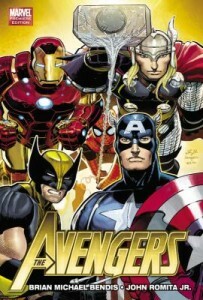 More Avenger superheroes are listed in the comics, but as far as the movies are concerned, those six are the key characters. Avengers: Age of Ultron is the sequel to Marvel’s The Avengers, which came out in 2012. 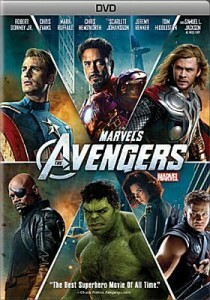 In this movie, Director Nick Fury, the head of S.H.I.E.L.D., the Strategic Homeland Intervention, Enforcement and Logistics Division, has gathered together and initiated multiple super heroes as part of the Avengers Initiative. 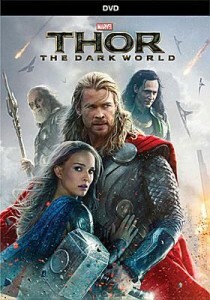 The Avengers are tasked with working together to stop Loki, who happens to be Thor’s brother, from harnessing the full power of the tesseract, a magical object of unimaginable and hard-to-contain power that has the ability to destroy the Earth. All of the Avengers must stop Loki and his alien forces from destroying the Earth and enslaving humanity to do his bidding. 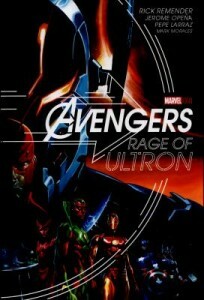 Avengers: Age of Ultron, which is still in theaters, draws upon events from the previous Avengers movie to bring together the Avengers one more time to fight against Ultron, a robot part of Tony Stark’s new peacekeeping program, that ultimately rebels and takes his job as a peacekeeper too far, leading him to believe that the best way to keep the peace is to exterminate all of humanity. 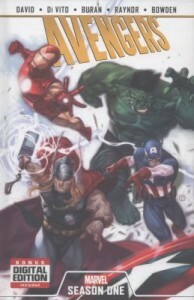 If the Marvel Avengers movies have you curious about other Avenger or superhero books, the library has many items available for you to check out. 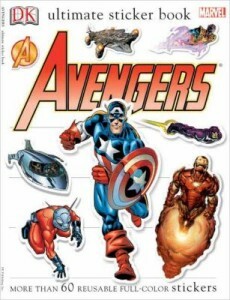 Here are just a smattering of the Avenger materials available for checkout. Click on the covers for more information and to put them on hold! For more superhero or Avenger comics, books, movies, or videogames, check out the library catalog and search for anything you can think of. 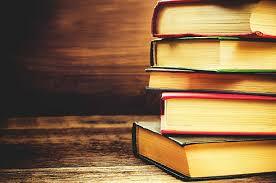 As always, feel free to call the library and we will be happy to find whatever you are looking for. 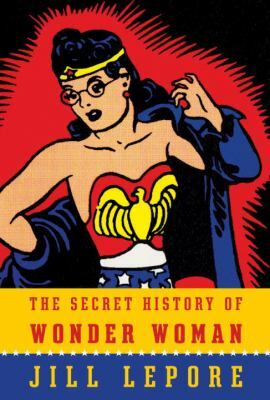 A riveting work of historical detection revealing that the origin of one of the world’s most iconic superheroes hides within it a fascinating family story – and a crucial history of twentieth-century feminism. Wonder Woman, created in 1941, is the most popular female superhero of all time. Aside from Superman and Batman, no superhero has lasted as long or commanded so vast and wildly passionate a following. Like every other superhero, Wonder Woman has a secret identity. Unlike every other superhero, she has also has a secret history. Harvard historian and New Yorker staff writer Jill Lepore has uncovered an astonishing trove of documents, including the never-before-seen private papers of William Moulton Marston, Wonder Woman’s creator. Beginning in his undergraduate years at Harvard, Marston was influenced by early suffragists and feminists, starting with Emmeline Pankhurst, who was banned from speaking on campus in 1911, when Marston was a freshman. In the 1920s, Marston and his wife, Sadie Elizabeth Holloway, brought into their home Olive Byrne, the niece of Margaret Sanger, one of the most influential feminists of the twentieth century. The Marston family story is a tale of drama, intrigue, and irony. In the 1930s, Marston and Byrne wrote a regular column for Family Circle celebrating conventional family life, even as they themselves pursued lives of extraordinary nonconformity. Marston, internationally known as an expert on truth – he invented the lie detector test – lived a life of secrets, only to spill them on the pages of Wonder Woman.